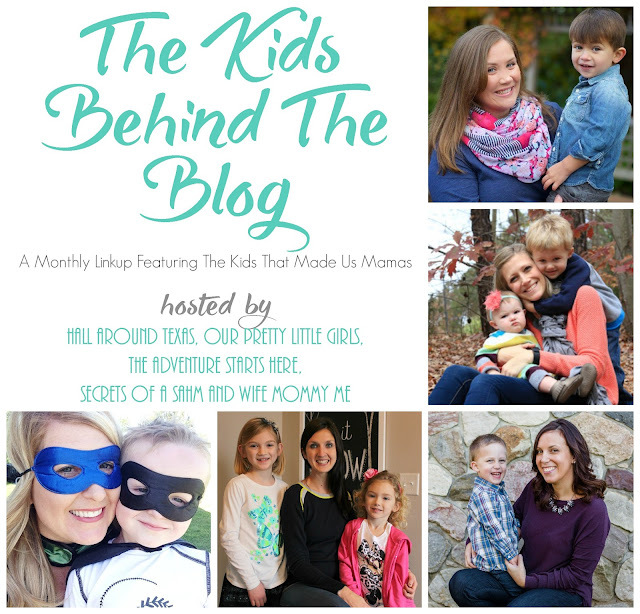 Another month of "The Kids Behind The Blog"!!! I am really loving this link up and it's proving to be a really great way to document Noah throughout the course of a year. I really love recording our interviews on video because it really shows his personality, growth, and speech development. I have to say I really loved this month! Noah had some really cute answers and he was even cuter on video than usual... at least that's my unbiased opinion! 1. What do you want to be for Halloween? 2. Do you like handing out candy or collecting it? 3. What should mommy and daddy be for Halloween? 4. Do you like to make a scary or happy faces Jack-o-lantern? 5. What is the best part of Halloween? What's the worst? I don't have too many notes for the video this month. Other than the major spoiler of what Noah's going to be for Halloween... so you'll probably want to watch! 1. What are 3 things you are thankful for? 2. What is your favorite food served at Thanksgiving dinner? 3. If you could be president for the day, what would you do? 4. How many feathers does a Turkey have? I love that Noah is going to be Gecko!! He will be perfect. We love PJMasks. I guess our boys (and other blog friends boys) all have an obsession with superheroes because so many of them have chosen superheroes for us parents. Ha ha! SO fun! I have never watched PJ Masks, crazy right?! Maybe not I think my girls are growing out of some of that stuff *cue the tears*. My favorite part was him making a scary face. What a smart boy knowing what season it is! Oh how I adore him. “You find a TV costume” << so cute! I love his scary sound effects. I’m sad when it’s over too sweet Noah! These videos always make my day! The videos add so much to the interview... You get their little personalities!!! That scary face!!! I miss the Guys behind the Blog segment, it's a ton of fun. Aw, he's getting so grown up. It's so easy to understand him now. He is seriously such a cutie! ....and I totally want to see you dressed as a tv!